Another survey has former GOP state Rep. Mike Braun ahead of Indiana Democratic Sen. Joe Donnelly, indicating the state to be a prime pickup opportunity for Senate Republicans. A poll released Tuesday by Cygnal, an Alabama-based research firm, found Braun to be leading Donnelly by 3 percentage points, with the GOP challenger polling at 49 percent to the Democratic incumbent’s 46 percent. The results, which are within the margin of error, show a neck and neck race seven days before the midterm elections. The survey — which was conducted between Oct. 26-27 and reached 505 likely voters — found 2 percent of voters to be still undecided. The group behind the survey determined that supporters of President Donald Trump in Indiana are more likely to vote for Republican candidates, while opponents of the president are not as inclined to vote for Democratic candidates. The Cygnal survey marks the latest in a string of polls that show Braun with a lead over Donnelly. 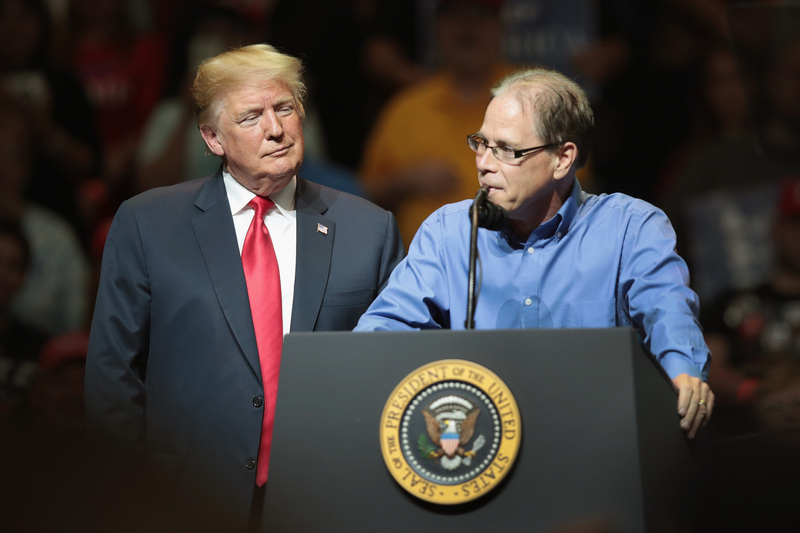 A CBS-YouGov poll released Sunday has Braun ahead of the first-term senator by a similar 3-point margin, 46 percent to 43 percent. A Mason Strategies survey published earlier in October had Braun up by 4 percentage points. “He did [vote against Brett Kavanaugh], and from that point you can measure it on our internals and some other polls we’ve built, I think a 4- to 5-point lead, and that was the catalyst,” Braun said during a “Fox & Friends” interview earlier in October.